S 1/c John C. Brown, son of Mr. and Mrs. J. A. Brown, attended Manitou High School. 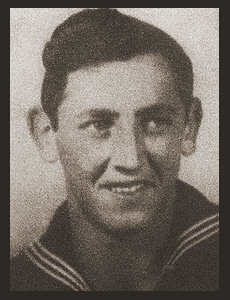 Entered Navy in Sept. 1943, trained in San Diego, Oceanside, Cal. ; went overseas in Nov. 1944, served in the Philippines, Manila, Luzon, Okinawa, Taiwan. Awarded Asiatic Pacific Ribbon with four Battle Stars.